The store has an open feel to it, clean and organized. 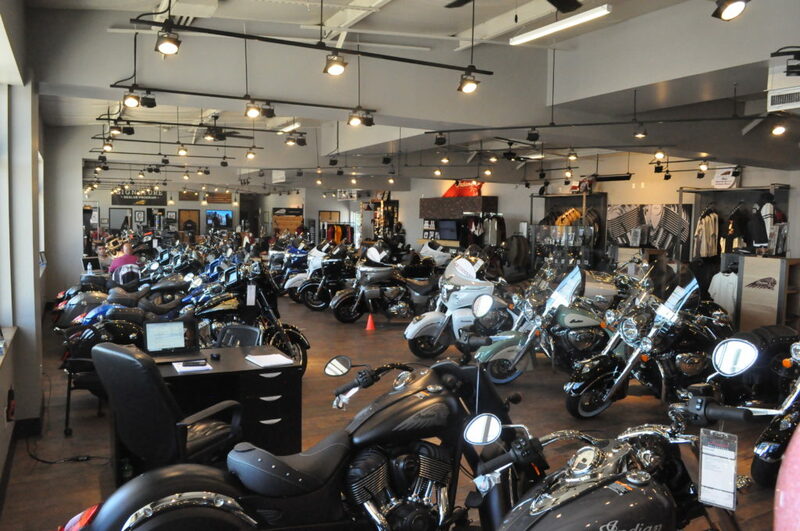 The large windows to the front of the store cast natural light over the handlebars, rims and exhaust pipes of dozens of Indian motorcycles neatly lined up to fill the entire room. Accessories and artwork adorn the walls of the space, providing an organized but interesting décor to the showroom. Awards are displayed on the countertops, silently showcasing the business’s history of excellence. A desk sits to the left of the entrance, and behind it, one of the owners. 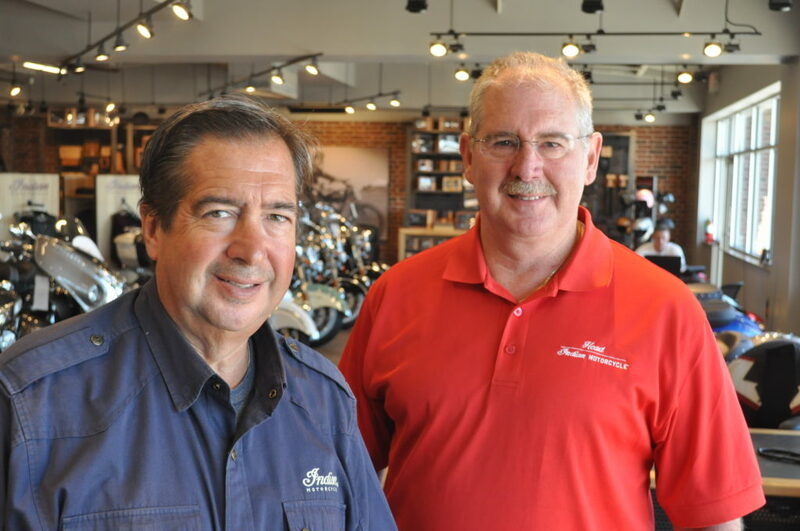 Stuart Head and his brother Steve have owned Head Motor Company for over 30 years. Richard Head started Head Motor Co. in 1960, and the brothers have established one of the top dealerships in the area. 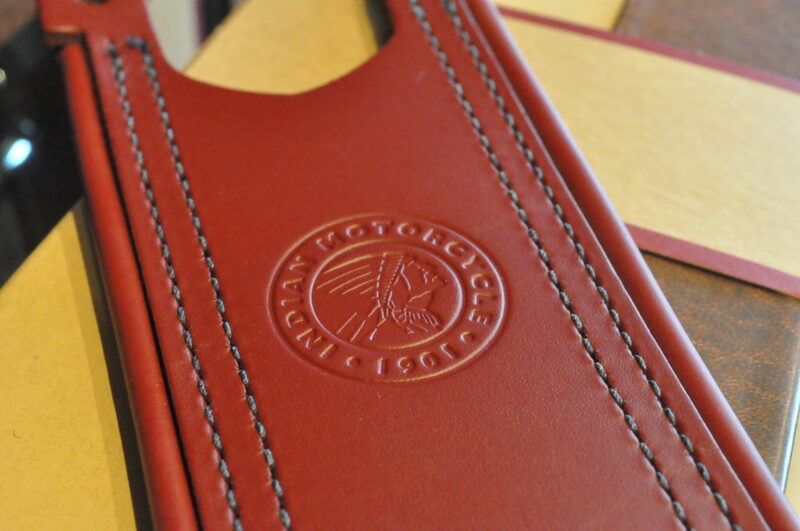 In 2015, the brothers became a dealer of Indian Motorcycles. 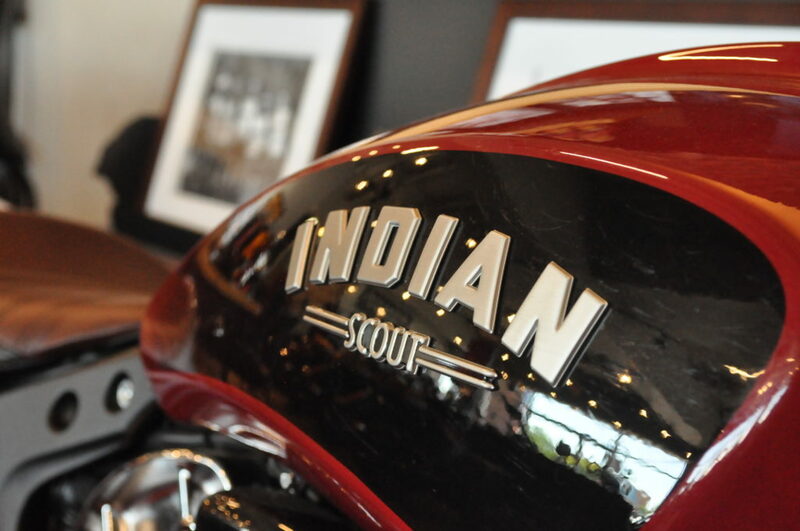 For the last two years, they have been one of the top 20 Indian Motorcycle Signature Dealers in the country. Along with that, Stuart Head is one of eight dealers on the dealer council for the Indian brand. They don’t just sell pre-owned cars and both new and used bikes. 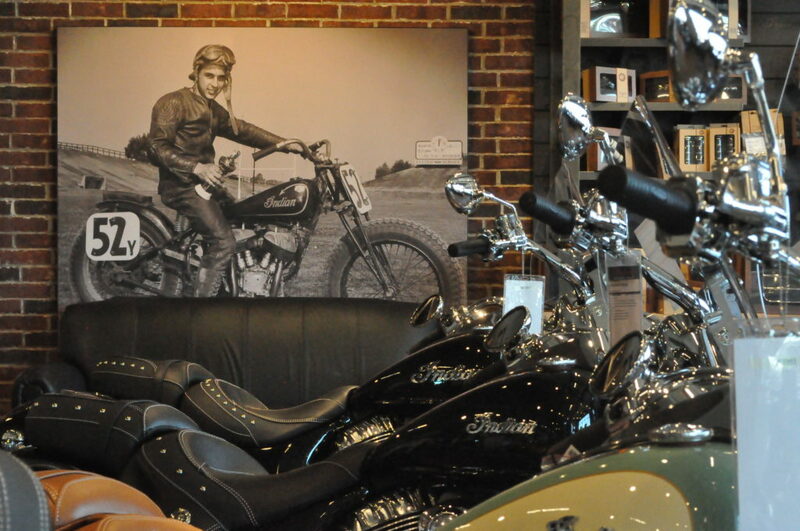 Part of their space is for repairs and service, including a full-service Indian motorcycles service department. Each mechanic in the store is an expert, and has been gold-certified by Indian Motorcycle, which is the highest rank of certification that the brand awards. The brothers aren’t solely focused on selling – they want to connect with the community and forming lasting relationships with customers. To do this, they host a “Ride Night” once a month, and individuals who have bought a bike from them can come out and ride with anywhere from 15 to 40 other people. If you’ve never ridden a motorcycle before, the best advice they can give you is to take a safety course. If you buy from them, however, they’ll pay for you to get trained on how to ride safely and have the best experience. 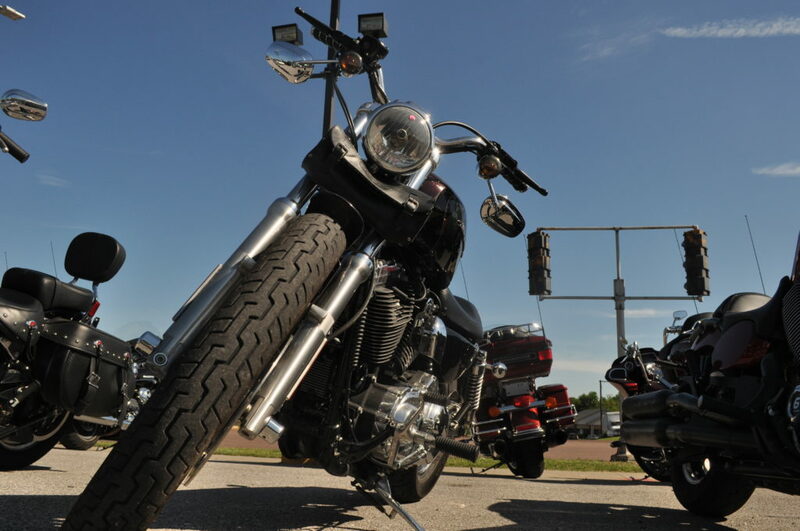 At Head Indian Motors, you’re investing in more than just two wheels and a set of handlebars. You’re investing in a community of experts who want to get to know you and want to help you find exactly what you’re looking for. With a reputation for excellence and plenty of perks, if you’re looking to become part of a community and ride in style, this is the place to go.